Sanjay Dutt's daughter Trishala Dutt recently posted a photo on Instagram wherein she was seen boasting about the perks of dating an Italian guy in the caption. Sanjay Dutt's daughter Trishala Dutt is already an internet sensation and often treats her followers with her sizzling photographs on Instagram. And many of her admirers want to know about her relationship status. Trishala has never spoken up about her love life, but going by her latest Instagram post, it looks like the 30-year-old has finally found solace in someone special's arms. Trishala recently posted a photo on Instagram wherein she was seen enjoying some pasta at a restaurant which she combined it with a glass of wine. While sharing the picture, Trishala was seen boasting about the perks of dating an Italian guy in the caption. "dating an Italian boy means lots of pasta and lots of wine," she wrote on Instagram. The moment she shared the post, her fans started asking her to post the picture of her boyfriend. Many even commented how lucky the boy is to have a girlfriend like Trishala. A heartbroken fan gave an advise to Trishal to better date an Indian boy and described them as loving and caring. 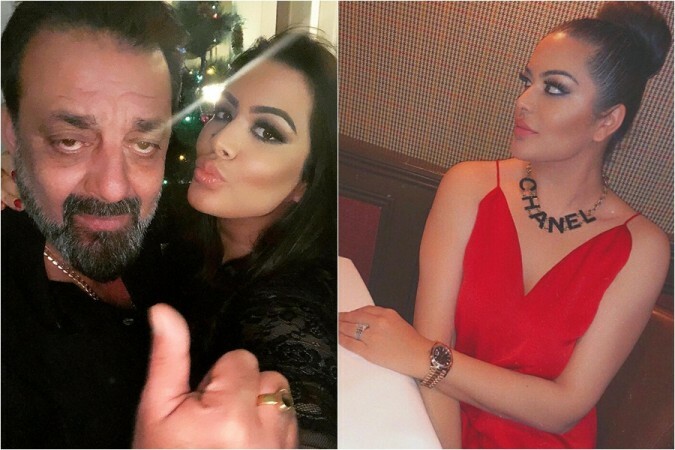 While many people wished Trishala to remain happy with her current boyfriend, some of them tried to inform her father Sanjay Dutt by tagging him on the post saying, "@duttsanjay Look what's she doing ?" In some of her old Instagram posts, Trishala seems to have hinted at dating someone in some of her cryptic posts and during her casual outings. In one of the posts, Trishala had written, "He grabbed me by my throat but he didn't choke me. Just kissed me so deep I forgot who's air I was breathing." While in another post, she was seen looking away wearing a red dress and wrote, "..by the way, I'm wearing the smile you gave me." Many would think that Sanjay Dutt might be strict about his daughter's dating life, but he is not. However, Trisha said that she often gets told by her dad and her grandparents, "DO NOT bring home trash." It remains to be seen if Sanjay Dutt would or has already approved Trishala's new relationship. But going by Trishala's posts, it looks like she is currently in a happy phase of her relationship. On a related note, Trishala has been living with her aunt Enna Sharma and grandparents ever since her mother's death in 1996 due to a brain tumor. Trishala is now a permanent resident of New York. She is also the CEO of Sanjay Dutt Productions Pvt. Ltd and is the founder of DreamTresses Hair Extensions in New York. Earlier, Trishala had revealed some of her personal details and said that her attitude and temper is like her dad while she gets her kindness, gentleness, and loving nature from her mom, adding that her giving side and style is from both her parents.